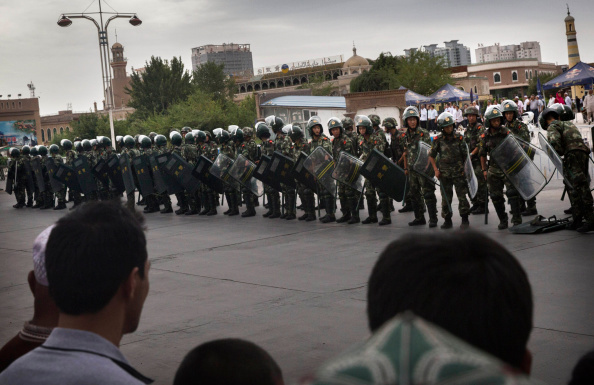 BEIJING—A senior U.S. State Department diplomat said punitive measures could be taken to condemn the Chinese regime’s further crackdown on Uyghurs and other Muslim minorities in the far-western region of Xinjiang. She added that the United States could take action through the Global Magnitsky Act, which places travel and financial restrictions on individuals who have been proven to be involved in human rights violations or corruption. Individuals listed under the Magnitsky Act would have their U.S. assets frozen and would not be allowed to do business with U.S. banks. In January, U.S. President Donald Trump announced sanctions under the Magnitsky Act against 14 Iranian entities and individuals involved in human rights crimes. “We will continue to raise our concerns with the Chinese government and call for legitimate due process in the detention of its citizens,” Stone said. Stone added that the U.S. government was particularly concerned about the detained family members of six journalists—four U.S. citizens and two U.S. permanent residents who have reported on Xinjiang—working for the Washington D.C.-based Radio Free Asia (RFA), which is partly funded by the U.S. government. 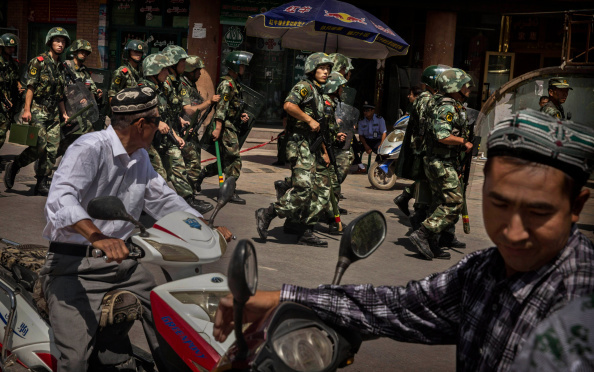 Local authorities have over the past two years overseen a dramatic escalation in security and surveillance across Xinjiang in an apparent effort to impose greater central authority and clamp down on violence as a result of ethnic tensions. Rights groups and exiles say Chinese controls on religion, culture, and freedom of movement in Xinjiang are heavier than ever, amid reports of widespread detentions, including for those who have traveled abroad or judged to be too religiously devout. RFA reported in January that more than 120,000 people were being held in re-education facilities in the southern Xinjiang city of Kashgar alone. The Communist regime routinely denies repression in Xinjiang, a vast region that millions of ethnic and religious minorities call home. Officials also do not publicly acknowledge the existence of mass detentions at the region’s network of political re-education centers. The Associated Press reported back in December 2017 that Xinjiang authorities had established a network of detention centers where people would be forced to receive so-called political education for indefinite periods. Epoch Times staff member Sunny Chao contributed to this report.